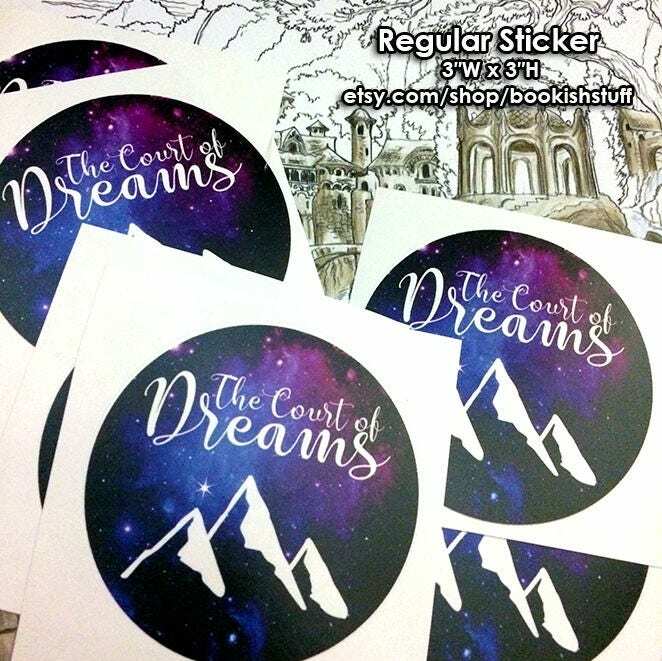 Get one (1) "The Court of Dreams" round stickers inspired by Sarah J Maas A Court of Wings and Ruins book. ► Ideal for smooth flat surfaces like laptops, notebooks, books, journals, windows, etc. Very nice sticker, arrived just as described!